How do I add an Assignment to my Course? 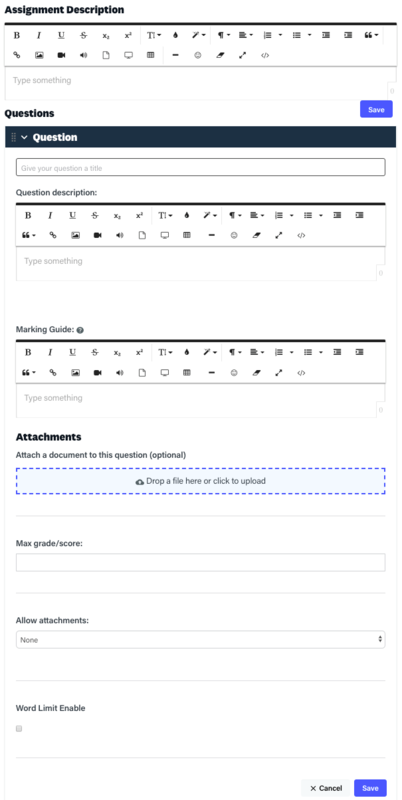 The Assignments Module is available on our higher plans (click here to see if it is included on your plan) and is used to create open-ended assessment tasks that require manual grading (i.e. they are not self-marking). 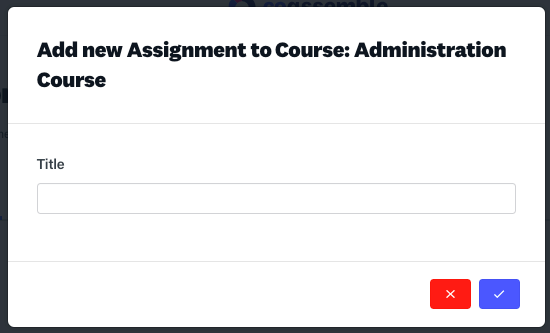 To add an Assignment to a Course, select Add New Module, and click Assignment. Create a title for your assignment and click save and the module will be added directly into the course pathway. To edit your Assignment, select it from the Resources list using the ‘Edit’ icon. You will then be able to provide a description for the Assignment, and begin adding questions. Note: It’s possible to set a word limit for your Assignment question by selecting the ‘Word Limit Enable’ box and specifying your word limit in the box provided. 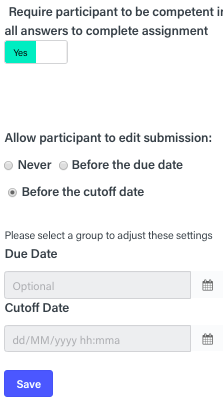 If you would like the Cutoff Date (the latest possible time an Assignment is to be completed) to be the same as the Due Date, please set the time and date to the same values. Select ‘Never’ from the ‘edit submission’ option if you don’t ever want your Participants to be able to edit their submissions. Note: You must publish this Assignment for Participants to have access to it. 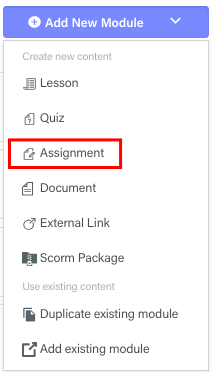 After publishing, Assignments can be graded from the ‘Grading’ tab (which will become viewable on the Assignment module after publication).